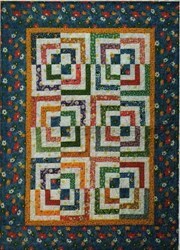 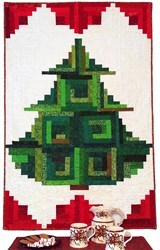 Rosebud Trails Quilt Pattern has not been rated yet. 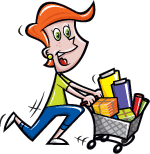 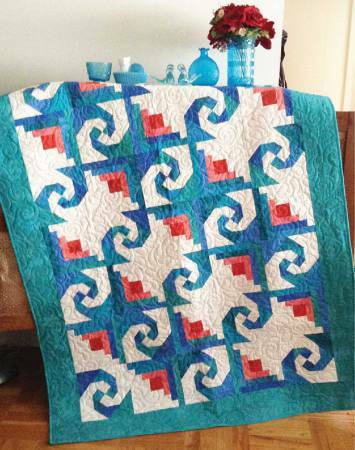 Yes, Please add Square on Square Ruler (CGRJAW8) (Add $19.95) No, Thank you. 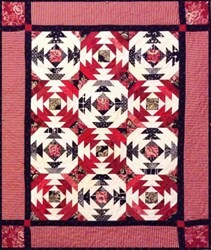 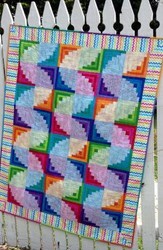 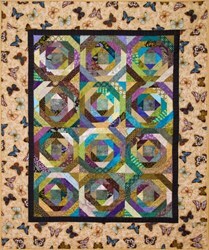 This finished quilt measures 50" x 66" and is a beautiful design. 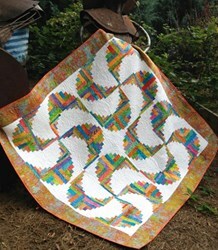 From our Cut Loose Press collection, this project should take approximately 6+ hours to complete, depending on your skill level. 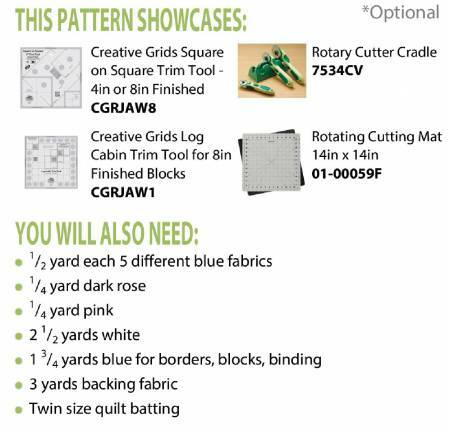 8" Creative Grids Square on Square Trim Tool Ruler - available here! 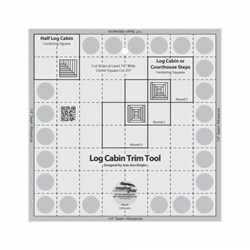 Creative Grids Log Cabin Trim Tool Ruler - available here!